It’s part of a moving passage in Paul’s second letter to Timothy, and lays out what it means to boldly embrace one’s ministry vocation, no matter the cost. One thing that caught my attention was the three roles Paul embraces for himself: Herald, Apostle, and Teacher. Apostle and Teacher are two common NT words, both appearing in several places, including his ministry gifting matrix in Ephesians 4. Firstly, a keryx was a person who brought a significant announcement from a king to the people. A bit like a town crier. Secondly, it was an emissary who, when two armies stood opposed ready for battle, would meet in the middle to discuss terms of peace or a truce, on the king’s behalf. And thirdly, it refers to a kind of spruiker, who stands in a market and shouts out to people, beckoning them to consider the produce for sale. In ancient Greek mythology, Keryx was actually the son of Hermes, the Messenger of the gods who, by the time of Homer, was seen as the patron of all keryx, able to move between humans and the divine as a kind of intercessor or envoy. Hermes carried the caduceus, a staff with two serpents equally entwined under two wings, a common symbol of messengers, denoting negotiation and in particular commerce, where transactions and exchange were facilitated. The Roman derivative of Hermes, Mercury, likewise carried the same staff – continuing the commercial theme – for his name was derived from the latin Merx the roots of our words merchant, and merchandise. In Athens in the bronze age, the office of keryx included various humble yet heroic tasks, and included announcing major public assemblies, and acting as messengers between both friends and enemies, requiring concentration, and prudent diplomatic skill. In 396BC, these ‘Heralds’ were actually allowed to compete in the Olympic Games, in a category where points were awarded for audibility and enunciation. With this richer understanding of the term, we start to see contours of Paul’s appropriation of the term which is lost if we settle just with the translation ‘preacher’ in the conventional sense we are used to. Not the least because the usual word for preacher (kerygma) is not used in either passage. Rather, he is a Spruiker/Envoy of truth. The term actually has a more widescreen connotation than either evangelist or preacher. It does seem to wrap in elements of both the prophet-evangelist. Communicating the gospel to the culture at large, not just a person. For the audience of the keryx is either a crowd, or another monarch or power. A herald is one who can tell truth to power, or truth to a crowd – no easy thing. It has the inference of a Significant, Compelling, Public Declaration. It actually may be a helpful, energising term for those involved in ministry in the public square. An encouragement to be bold; and reminders to be nuanced, prudent, accurate and clearly heard! There is, of course, the sense that Paul is speaking of his entire catalytic ministry to the Gentiles. 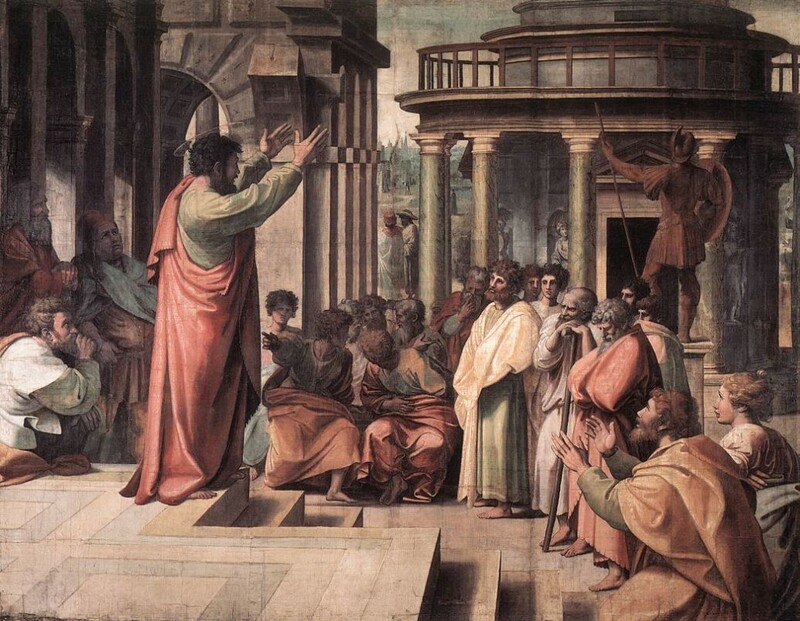 But those who find themselves having to speak often into public discourse, or speaking of faith in a larger dynamic context, including the media, may well find Paul’s vocational calling here affirming. ← What Gen Y Say They Need To Live Life More Fully.